Fully padded gig bag with adjustable backpack straps. 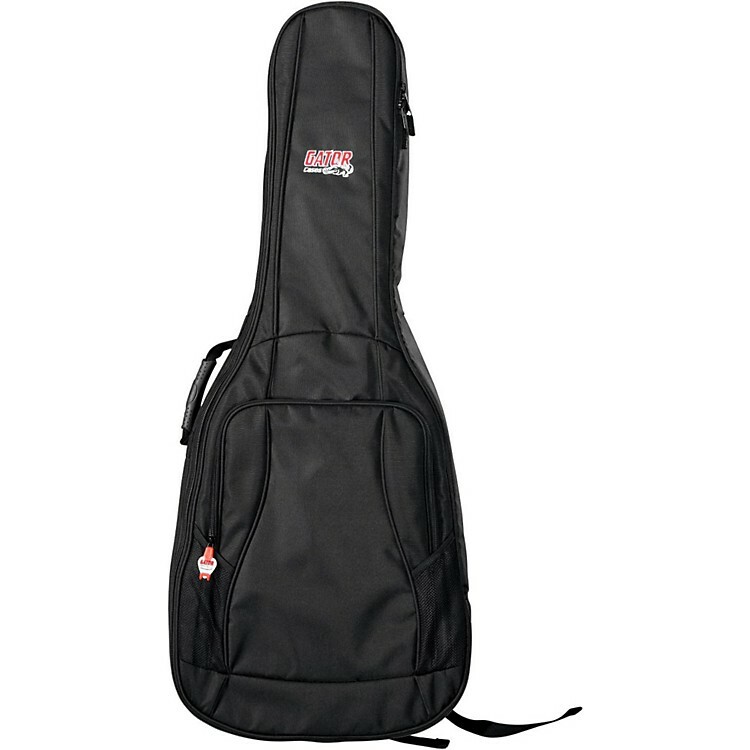 The GB-4G ACOUSTIC Series Gig Bag fits and protects many acoustic guitars. It features GFLEX 8mm padding on all sides for your guitars as well as internal headstock and bridge reinforcement to prevent wear. For your convenience, it has contour back padding, a webbed carry handle, and removable padded backpack-style straps. Other great features include a large exterior pocket for your extras and a Pick-Clip for an "emergency" pick. Protect your investment with extra padding and reinforcement. Order today.